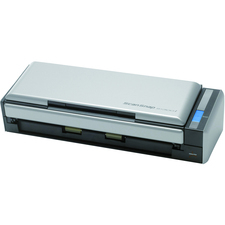 Built-in automatic document feeder and auto duplex scanning. Capture large two-sided documents in a single scan. Use with Windows® or Mac®. Scan directly to popular cloud services. Capture large, two-sided documents in a single scan from as large as 11 7/10" x 100" down to 2 7/10" x 4 7/10" through the ADF or the scanner bed. Achieve remarkable results, thanks to the four-line CCD sensor (RGB and black) that provides vivid color and crisp, sharp text. Boost productivity with one-pass two-sided scanning at speeds of 40 ppm/80 ipm. Work more efficiently, thanks to the built-in 200-sheet automatic document feeder, plus auto duplex scanning. Ultrasonic double-feed detector automatically stops the scanning process if two pages feed together. Use the optional networking module and included Document Capture Pro software to scan to any PC on the local network. Scan directly to popular cloud services, like SharePoint®, Evernote®, Google Docs and more. Scan and save documents to searchable PDF files. Includes powerful productivity software—Epson® Scan, Document Capture Pro (Windows® only) and ABBYY® FineReader® Sprint OCR. 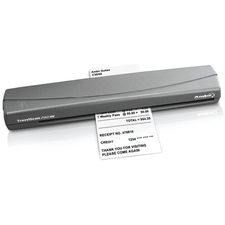 One-touch scanning creates up to 30 user-programmable jobs. 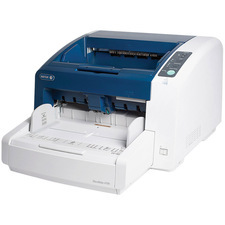 Scan Size (W x H): 11 7/10" x 17"; Bit Depth of Color: 16-bit Internal; 8-bit External; Connector/Port/Interface: USB 2.0; Dpi Graphics Resolution: 600 x 600 dpi.